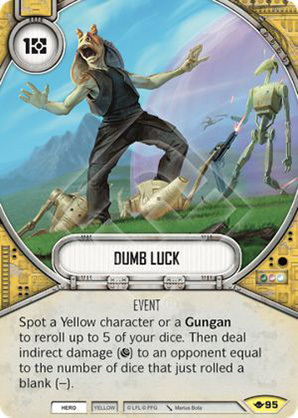 Spot a Yellow character or a Gungan to reroll up to 5 of your dice. Then deal indirect damage () to an opponent equal to the number of dice that just rolled a blank (). Way of the Force #95.